As It write, it’s been 17 days and 12 hours (give or take 20 minutes) since my last cigarette. On the morning of the 13th, instead of stepping onto the back porch while my K-cup machine powered on and lighting my first smoke of the day, I tapped a mini nicotine lozenge from its tiny pack and dropped it on my tongue. It’s far from the same rush; it almost satiates the need. (The key word there is almost.) Yet, the first few days were easier than I anticipated – much easier, in fact, than when I tried the full-sized lozenges a few years back, or the patch a few years before that. It wasn’t until I returned to work, after a week off, that I found myself (almost) pounding my desk. And so it (still) goes. This past Tuesday, in fact, was one of those days. 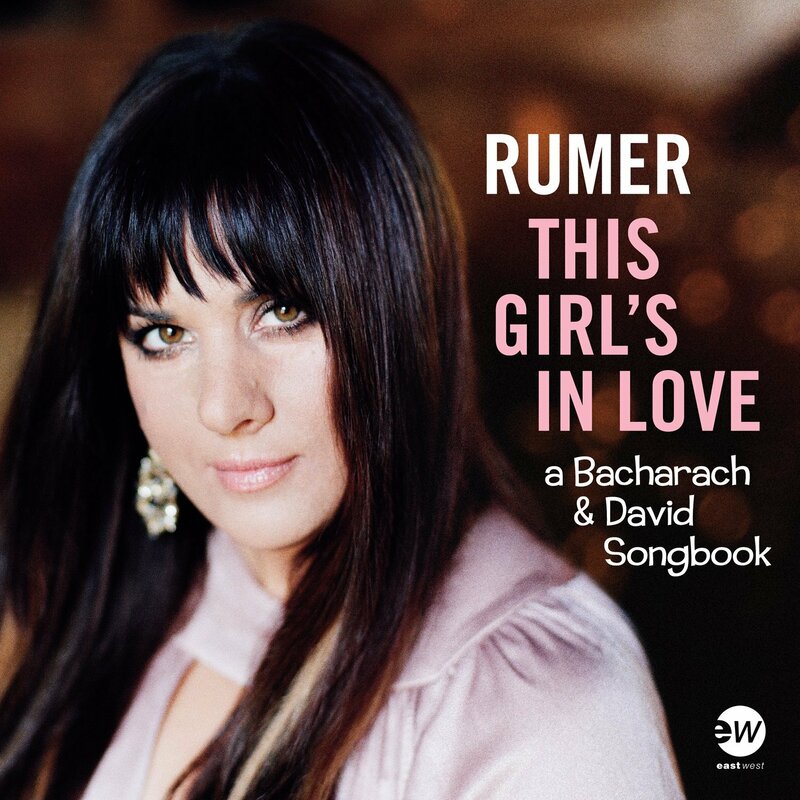 And then, during a quick Facebook break that afternoon, I saw a post from Rumer about her forthcoming album, This Girl’s in Love: A Bacharach & David Songbook. In fact, the post wasn’t just about the set, but shared the song, “(They Long to Be) Close to You,” that is the lead single. To say that it soothed my stressed-out soul is an understatement. 1) Rumer – “(They Long to Be) Close to You.” Rumer’s slowed-down spin of the classic song, which was a hit in 1970 for the Carpenters, is mesmerizing. Those who only know the version by siblings Karen and Richard may be surprised to learn that they weren’t the first to record it – that honor belongs to Richard Chamberlain in 1963. Other artists who recorded it before the Carpenters include Dionne Warwick (1964), Dusty Springfield (1967) and Bacharach himself (1968). 2) Bat for Lashes – “We’ve Only Just Begun.” The Bride, the latest release from Bat for Lashes (aka Natasha Khan), tells the story of a young woman whose life is changed forever when her husband-to-be dies in a car accident while on his way to the chapel. It’s a remarkable, stirring set. This stark cover of the Carpenters’ hit (written by Paul Williams and Roger Nichols) is only available on her official YouTube channel; it’s taken from a concert to promote the album. 3) Emily Jane White – “Pallid Eyes.” I picked up the Brit music magazine Uncut last week for the cover story on Neil Young and came across White’s latest effort, They Moved in Shadow All Together, while flipping through the reviews. It’s an atmospheric set with vocals that wash over you; and is well worth the download. 4) Amber Arcades – “Fading Lines.” Another find from the pages of Uncut, though the issue with the Prince tribute. A Dutch singer-songwriter (real name: Annelotte de Graaf), she’s backed by members of Quilt and Real Estate; and her debut album, of which this is the title cut, is a joy. Harkens back to the music of the early ‘90s (Belly, Breeders, Julianna Hatfield). Also, the video – of a skydiving excursion – is breathtaking. 5) Diane Birch – “Walk on Water.” I’ve written about Nous, the latest release from Birch, here and here. This moody track is one of its best.